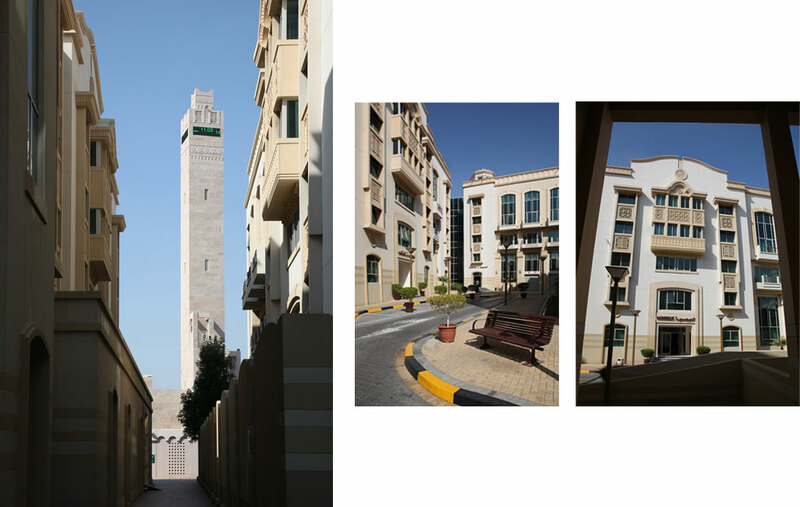 Al Mada Community is a low-rise, city centre redevelopment project in the heart of Al Ain, adjacent to the central souk and the Ahmed bin Zayed Al Nahyan Mosque. The project integrates 200 studio, one-, two- and three-bedroom apartments with a retail component at street level, including a supermarket, bank and car dealership, as well as other community amenities and a hospital, all within five storeys above two basements. Al Mada apartments are grouped into individual houses of residence which enjoy shared communal spaces, driveways, parking and community facilities while retaining a high degree of privacy, security and shelter. 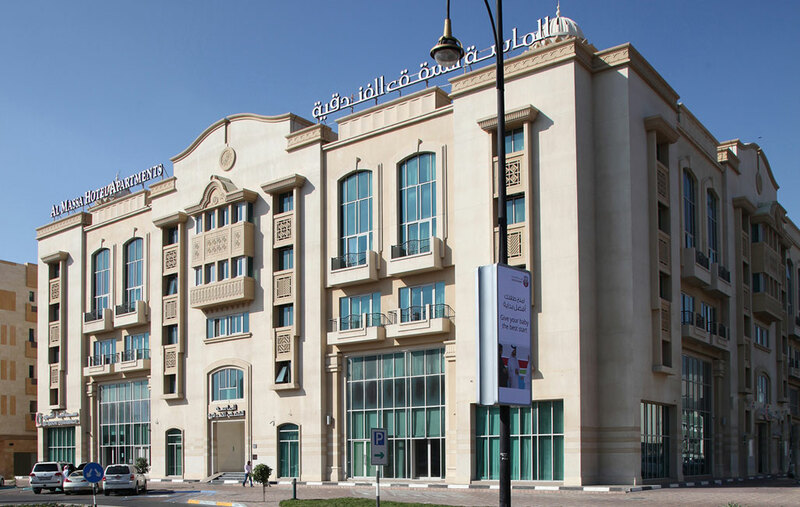 Diar Consult undertook the architecture, structure, building services design and interior design as well as complete post-contract administration in all disciplines. The development was built in two phases,with both being completed in 2005. The simplicity of construction techniques and materials used, which do not go beyond the use of bricks, mortar and paint, individual windows and glazing, have contributed to its success, being robust and timeless.